It really IS that easy to make...: New Cookbooks! My sister and I exchanged Christmas presents early. 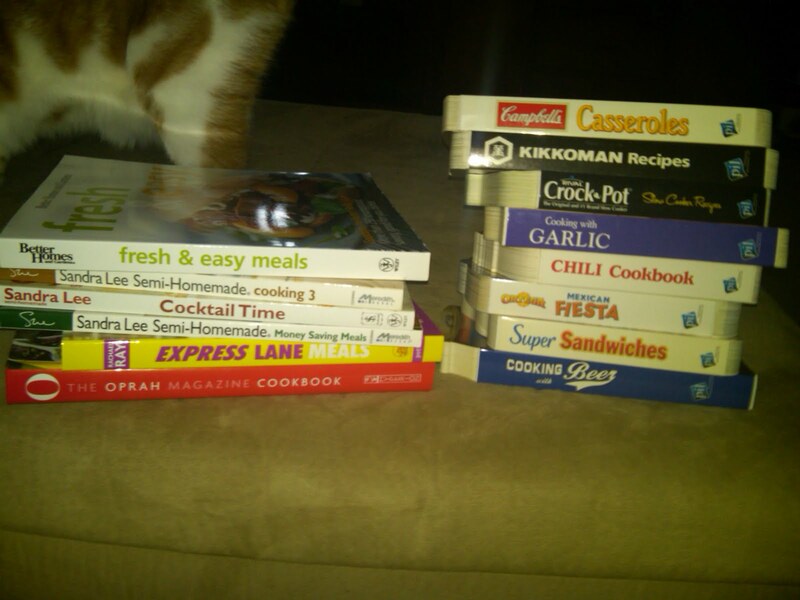 I'm so excited because she got me a crapload of cookbooks she found on clearance. 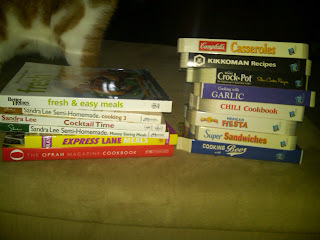 Thing about cookbooks- it's not like they really expire. So if you can get one for super cheap, that's even better... same great recipes, less price. 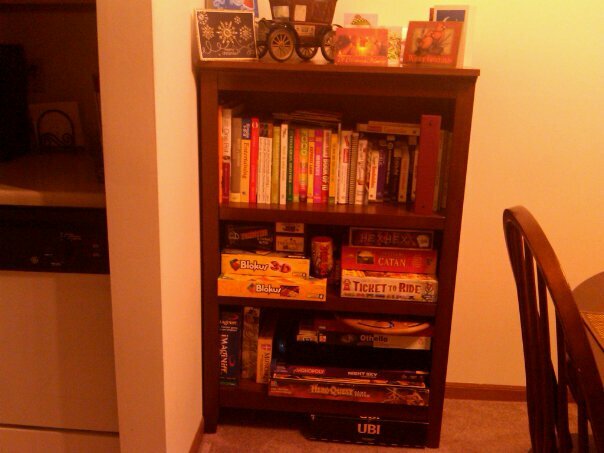 So she got me a bunch, including 2 sets of 4 each of these cardboard themed cookbooks. I love them!!! Look at these bad boys! THREE new Sandra Lee cookbooks. Jenny got me one of Sandra Lee's cookbooks last Christmas and I use it so much, so I'm really excited about these new ones! A Rachael Ray cookbook! She's the Food Network star that got me started with this whole cooking obsession- it's been 2 years now since I started really learning and trying new things. Oprah magazine recipes- can't wait to try! And Fresh & Easy Meals.... it was like I picked these out for myself lol! She did a great job. On the right are my little themed cardboard cookbooks- can't wait to see what those have too, especially the cooking with soy cookbook- that's different! My kitchen counter-top was overflowing already with my cookbooks and cooking mags, and we've been running out of room for our games, so we decided it was time for a new bookshelf. So we ran to Target and got one to match the other 3 we have, and now we have a nice setup! Time to come up with a menu for the week, and a grocery list... This means lots of new blog posts!